Susan K. Kelch-Creech, age 55, of Eaton, passed away Saturday, January 19, 2019. She was born November 1, 1963 in Dayton to Bob Kelch and the late Charlene (Schroer) Kelch. 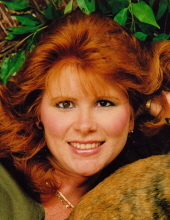 A graduate of Northmont High School, Sue had a deep love for animals; enjoyed cooking for her family, who loved her macaroni and cheese; loved to dance; was a dedicated mother who never missed a sporting event, often being a parent volunteer; was a volunteer in the community (Whispering Christmas); and she was easily spotted by her beautiful red hair. She held great pride in her work with her greatest accomplishments being her time at Iams and Silfex. She left her family and friends with many wonderful memories. She will be forever missed. In addition to her mother, she was also preceded in death by her brother Douglas Kelch. She is survived by her father Bob Kelch; daughter Cassie (John) Coggeshall-Ketteman; son Ricky Coggeshall; brother David Kelch; sister Vicki (Chris) Jackson; sister Jayne Kelch; nieces and nephews: Shannon, Steven, Ben, Sarah, Rachel, Nick and A.J. ; and great niece Jaysha. Visitation will be held on Saturday, January 26, 2019 from 11:00 am until time of funeral service at 1:00 pm at the Girton Schmidt & Boucher Gard Funeral Home, 226 West Main Street, Eaton, OH with Pastor Dwight Hanson officiating. Burial will follow at Mound Hill Cemetery in Eaton. Memorial contributions may be sent to Humane Society of Preble County, P.O. Box 72, Eaton, OH 45320. Online condolences may be sent to the family by visiting www.gsbfuneralhome.com. To send flowers or a remembrance gift to the family of Susan K. Kelch-Creech, please visit our Tribute Store. "Email Address" would like to share the life celebration of Susan K. Kelch-Creech. Click on the "link" to go to share a favorite memory or leave a condolence message for the family.